You are nuts if you don’t have a pet; nuts over it if you do have one! Correct? Everyone who owns one knows how blissful it is and how compassionate it makes you. If you are an Instagram fanatic, especially pet pages fanatic, then you’d know that pets are the funniest, most joyous, and the most happening parts of our lives. It’s like therapy. Talking about therapy, did you know that dogs, man’s best friend, is literally used for therapy? They are a part of numerous hospitals, nursing homes, disaster areas, etc. If they can unknowingly do so much for us, can we do the bare minimum? Having a dog, is as good as having a baby; except it remains a baby forever. Even if it grows up, it needs to be taken care of; always. And what’s the most basic thing to be careful about? Food! Yes, there are a lot of do’s and don’ts that come in the unwritten rulebook. 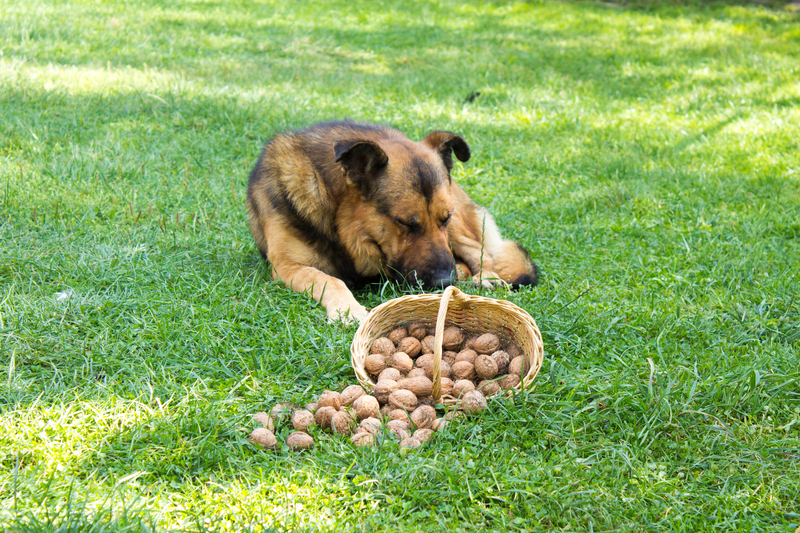 One of the very important food items that are loved by dogs and are yet harmful, are nuts. Nuts are toxins in disguise. They are not totally toxic per say but they aren’t healthy either. All the nuts say almonds, walnuts, peanuts, pistachios, and cashews have a lot of fats. High fat intake leads to weight gain. A fluffy, fat doggo may look cute but not at the expense of its health. Sure, it’s Instagram worthy but it’s still not worth its life. Moreover, higher fat intake can also lead to pancreatitis to your dog. Chocolate coated: Chocolate is a terrific idea to be used as a treat. It contains theobromine which is fatal for your dog’s health. White chocolate though, is the mildest one so it’s allowed in limited quantities obviously. Nuts – toxic, chocolate – toxic, so imagine how deadly the combination can be! Salted: Raw and roasted peanuts can be consumed in a small amount, but salted nuts cannot. Do not give your dogs store products ever. With shells: Dogs have a knack of eating anything and everything. So, beware of shelled nuts. Not only it’s unhealthy but it may also get stuck in your dog’s digestive tract or cause it pain while digestion. Anything in excess can cause problems, right? This goes for nuts as well. Nuts are not something to be taken lightly and must be given to your dogs very carefully. If you can eliminate it from their diet, then it’s top notch! If your dog happens to get rashes, starts shedding a lot of hair, starts gaining weight for no apparent reason then visit the vet ASAP. If you cannot, then start an elimination diet. It’s not rocket science, you ought to start eliminating a few items from its diet and keep a regular check. Start with nuts, duh. Dogs are a blessing and there have been instances that make us ask, ‘What have we done to deserve dogs?’ Let us all thrive to give our dogs the best of life and thereby, the best of food with proper precautions; because you may not see it, but your dog will go nuts over nuts!